Cleveland, Tenn. – (July 22, 2016) – Heil Trailer International has announced its expanded line of stainless steel products for the 2017 model year. 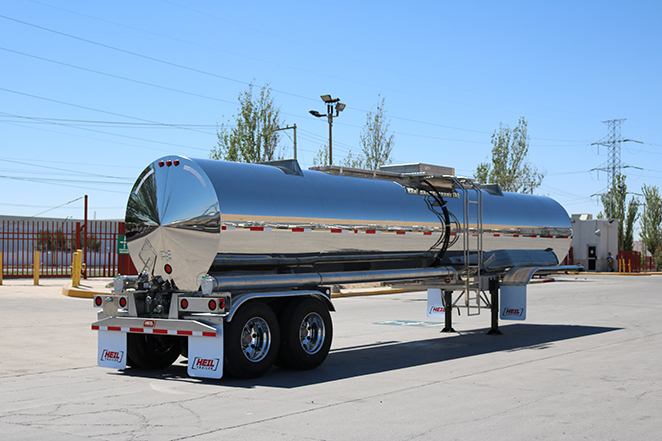 Available from 1,000 to 12,000 gallons, 1 to 8 axles and from 1 to 6 compartments, these trailers demonstrate Heil Trailer’s commitment to providing stainless steel solutions that are built for its customers’ needs. Since Heil Trailer re-entered the stainless steel market in 2013, it has focused on reducing the tare weight of its trailers to maximize operational efficiency. Manufactured at Heil Trailer’s state-of-the-art facility in Juarez, Mexico, the 2017 stainless trailers are the lightest in our history, delivering greater value to customers. More information about Heil Trailer’s complete line of stainless steel products can be found at www.heiltrailer.com. Established in 1901, Heil Trailer International, Co. is the leading brand of durable tank trailers and is known for the enduring performance of its products, industry-leading support and solutions-driven customer service. A manufacturer of liquid, dry bulk, oilfield, construction, platform, specialized, towing and defense trailers, Heil Trailer designs its products to meet the most stringent region- and load-specific requirements in 85 countries around the globe. Heil Trailer International, Co. is owned by American Industrial Partners, an operationally oriented middle-market private equity firm that makes control investments in North American-based industrial businesses serving domestic and global markets. Heil Trailer International, Co., Kalyn Siebert and SERVA are part of EnTrans International, LLC, a leading manufacturer of tank trailers, oilfield capital equipment and related components used in the oil & gas industry. Heil Trailer International, Co. is headquartered in Cleveland, Tennessee. For more information about Heil Trailer, visit www.heiltrailer.com.